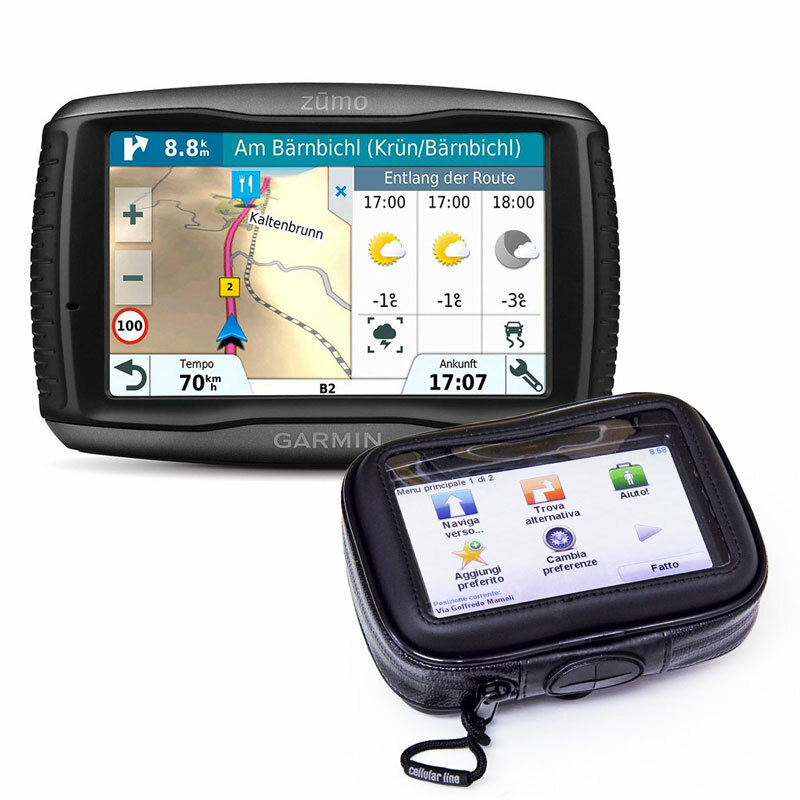 The Zumo 595 LM is the top range by Garmin and is among the best and most complete navigators in the world, and includes advanced functions such as monitoring the state of the tires, links to Spotify and Action Cam virB control. To meet the needs of the most demanding motorcyclist, the Travel Edition of the zūmo 395LM has been created. In addition to including the map of 46 European countries preloaded, it allows free download of the maps of another 39 countries in the world, from the Americas to Africa, from the Middle East to Oceania and the possibility to download and update the safety camera locations for free for life. Touchscreen display with 5 “glare, suitable for use with gloves. Shock resistant and waterproof IPX7 shell. Map Europe 46 countries preloaded with lifetime free updates. Alerts the driver while driving (Drive Alerts). Displays notifications on the display of your Smartphone2. Spotify integrated player to listen to music. Function to search for tortuous paths and slopes. Remote control of action cam.